Colombia’s record in extending health insurance and health services to its population is impressive. In 1990, around 1 in 6 of the population had health insurance. Now, nearly 97% do, with greatest expansion occurring amongst poorer households. Likewise, in 1993 out-of-pocket spending made up 52% of total national expenditure on health. By 2006, this had fallen to less than 15%. Although Colombia has high rates of income inequality (with a Gini coefficient of 53.5 in 2012, compared to the OECD average of 32.2), access to health care services is much more equal. In urban populations, for example, 1.8% of children aged less than two years of age are recorded as having received no routine vaccinations, compared to 1.0% of rural children. Colombia nevertheless faces important challenges to maintain and improve the performance of its health system. 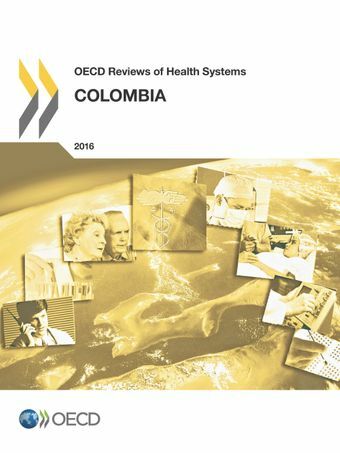 This report looks at Colombia’s health care system in detail and offers recommendations on what Colombia can do to ensure accessibility, quality, efficiency and sustainability.